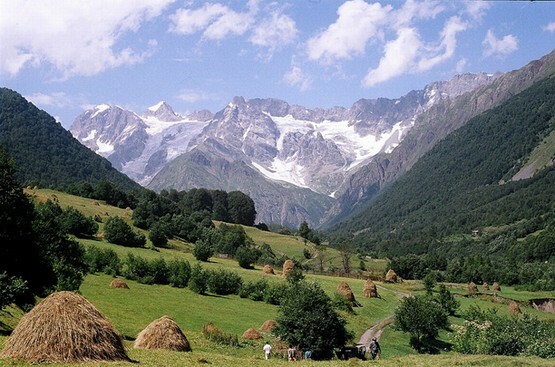 In this family recipe from the historical Racha region (Georgian: რაჭა) of Georgia we show how to make Ojakhuri with mushrooms and cheese. It is quick to prepare and makes a delicious meal. 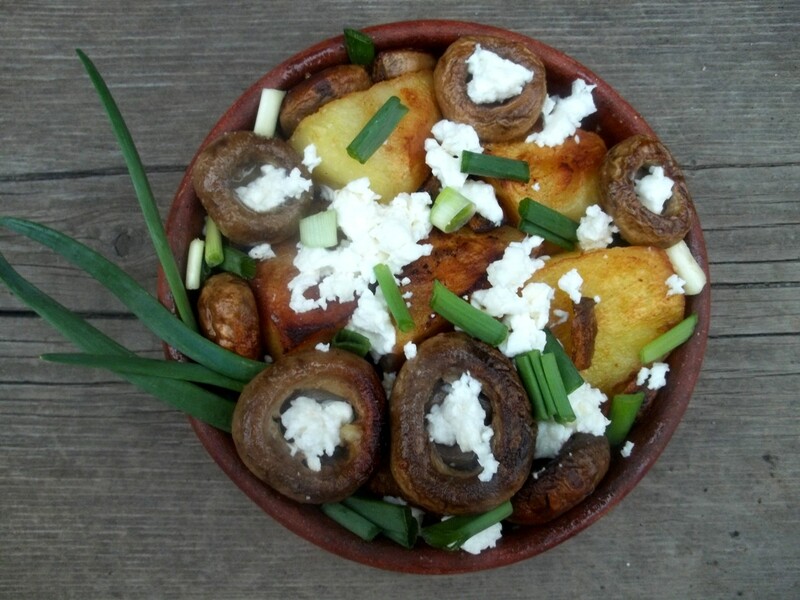 Ingredients: 700 grams of potatoes, 400 grams of mushrooms, 3 tbs of oil, 50 grams of butter, 150 grams of Imeretian cheese (mozzarella can be used), 30 grams of green onions and salt (amount dependent upon personal preference). 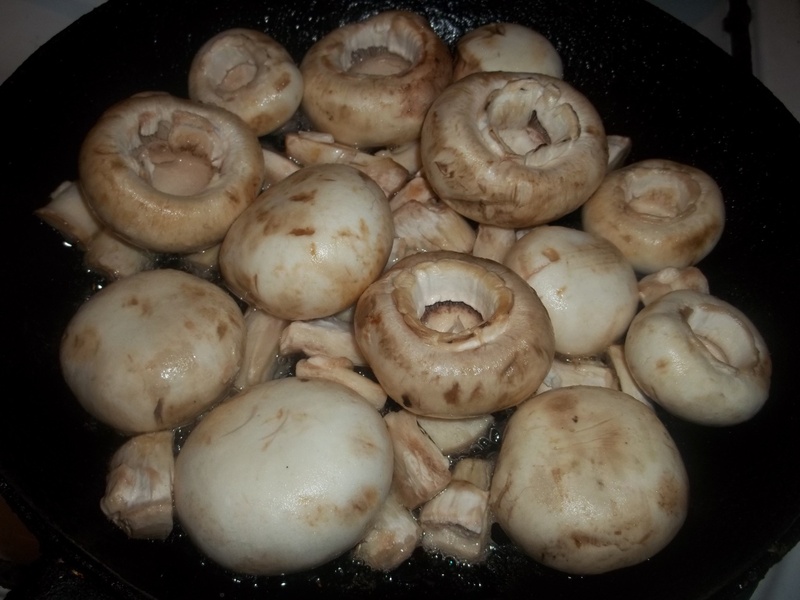 Preparation: Clean and remove stems from the mushrooms. Slice the stems into two or three pieces. Cover and fry on a low temperature for 25 minutes. 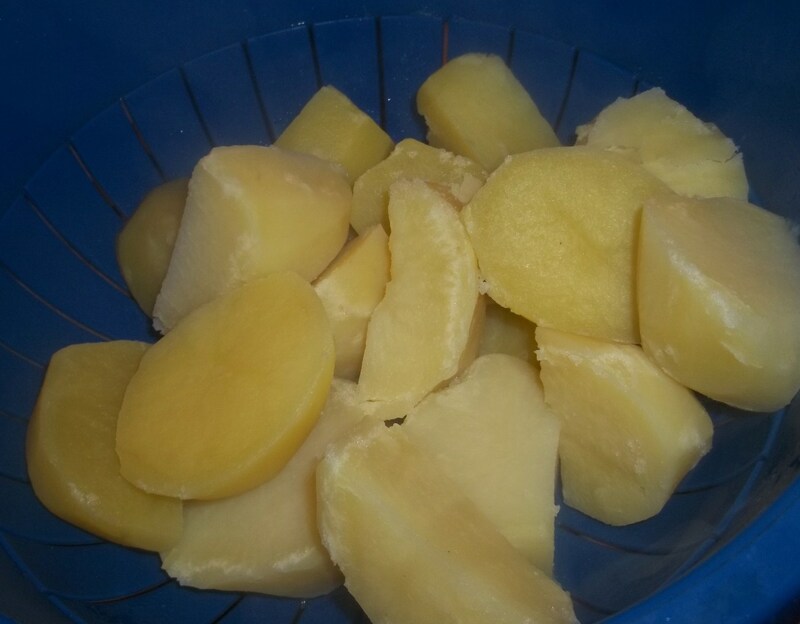 Cut the potatoes (medium to large pieces) and parboil. Use a colander to drain the boiled potatoes. 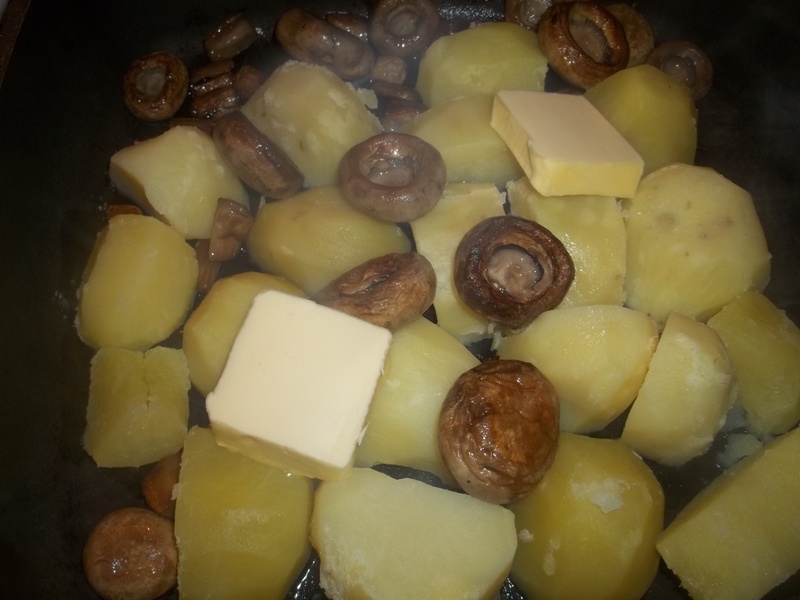 Add the potatoes and butter to the pan of fried mushrooms. Fry uncovered on a medium to high heat until the potatoes become crispy. 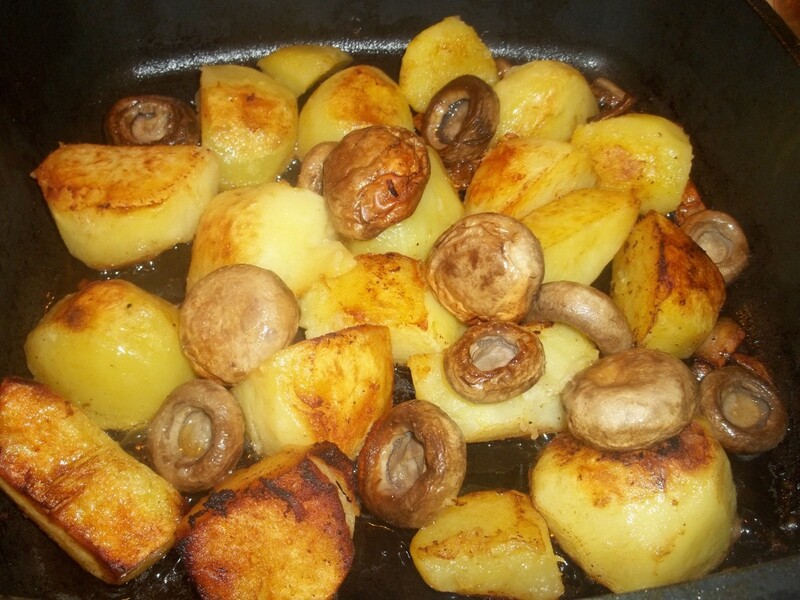 Turn the potatoes and mushrooms to ensure they are evenly fried. Remove from heat when fried and sprinkle with salt. Serving: Serve hot with crumbled cheese and chopped green onion. 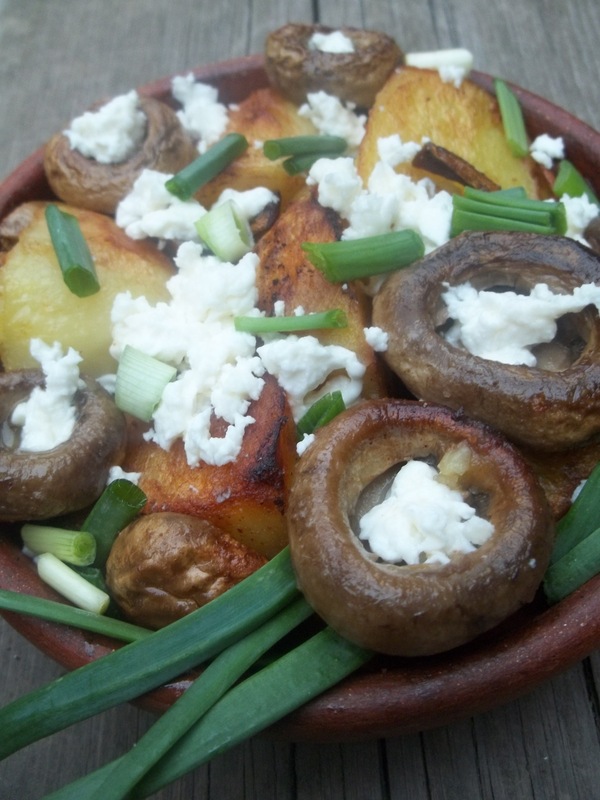 Enjoy your Ojakhuri with Mushrooms and Cheese! What a pretty meal! I love the flavors you used.